2018 Nisei Week festivities are kicking into gear in Little Tokyo in Downtown Los Angeles! 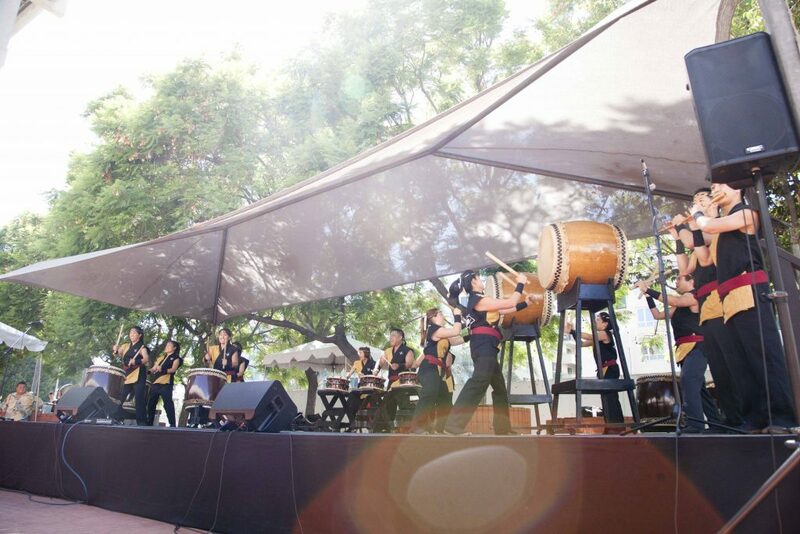 Of course, one of our favorite events is Taiko Gathering, which will take place on August 19th. 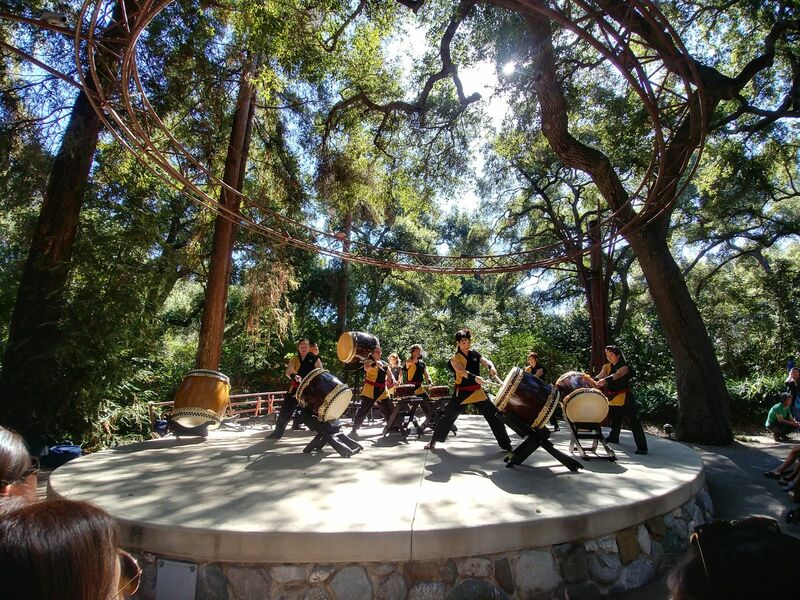 Prepare yourself for a full day of taiko groups from all around Southern California, including Kishin Daiko in the afternoon! 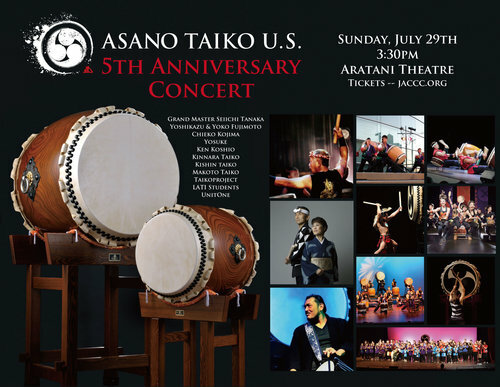 We’re excited to announce that we’ll be one of the many performers celebrating the 5th Anniversary of Asano Taiko US! This special event is taking place on this upcoming Sunday, July 29th, at the Aratani Theatre in Little Tokyo at 3:30pm. Tickets are still available through the JACCC website, so grab yours today! 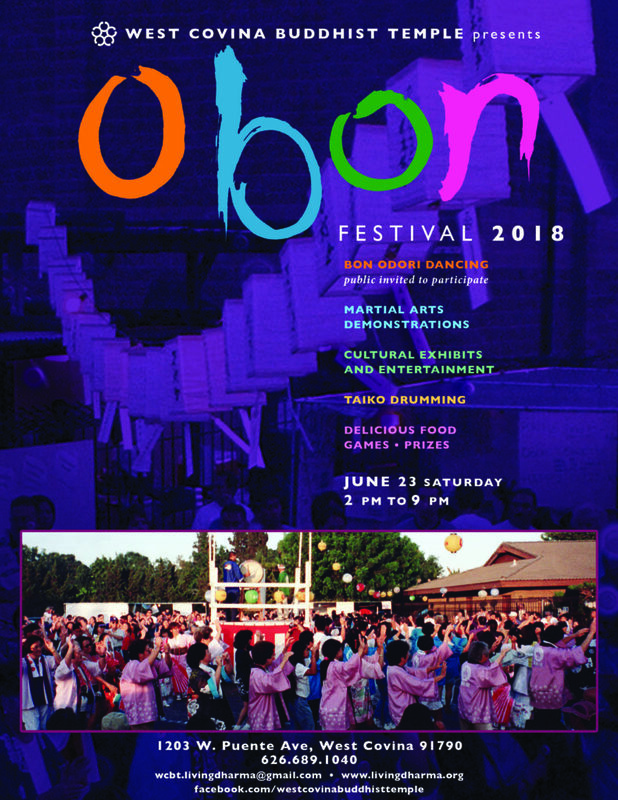 It’s summer, which means obon season is upon us! 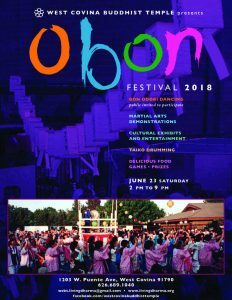 Come join us at the West Covina Buddhist Temple’s summer festival this Saturday, June 23, 2018! 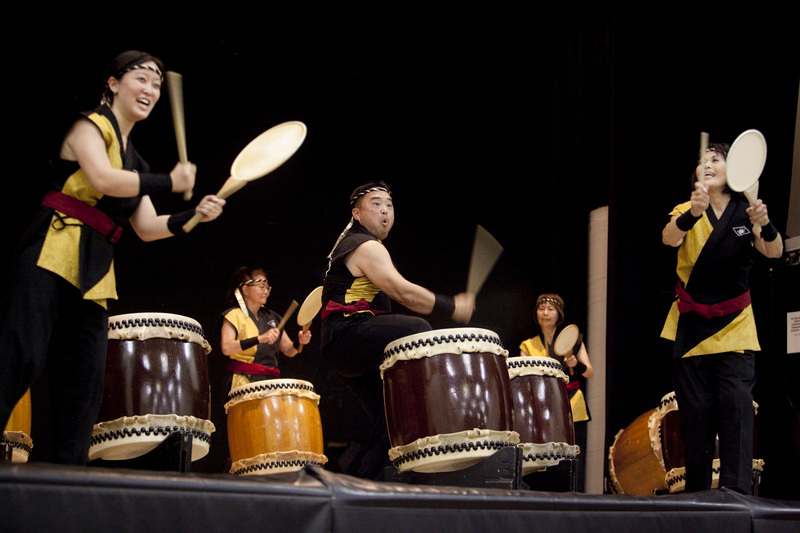 This free event will be fun for the whole family, and Kishin Daiko will take the stage around 6pm. Click here for more information.